Your home is an extension of your personality. How you choose to decorate it reflects back on your taste and preferences. The kind of flooring you opt for and the furniture you place plays an integral role in bringing any empty space within the house to life. There has been a growing trend for wooden furniture and flooring. In fact, the global wooden furniture industry is expected to witness a growth of 8 percent by 2022. Considering how wooden furniture tend to add allure and vintage feel to the space they occupy, it comes as no surprise that many wishes to incorporate wooden flooring and pieces in their abodes. Even though the wooden floor and furniture make any house look sophisticated and aesthetically pleasing, there are not as easy to take care of like some of the other furniture and flooring options in the market. To make sure your wooden furniture retains its beauty for the long-run, here are some tips you can follow. We understand that dusting every day might be too much of a hassle for you. However, with wooden furniture, you don’t have much choice. You need to dust each of your furniture daily to avoid the build-up of airborne deposits in the surface of the furniture. These deposits can lead to scratches on the surfaces if not cleaned properly. 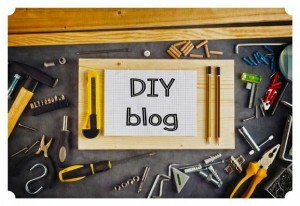 There are various tools you can use to remove dust from your wooden furniture. Try to opt for clean and soft items since they don’t scratch the wooden surface. To ensure that you don’t scatter the dust into the air (and again onto the furniture), dampen your cleaning tool slightly before dusting. Wool dusters are preferred if you wish to trap the dust particles onto the tool. Since they are curved, they can be used to clean carved furniture. Dealing with bugs and insects can be a nightmare. No one wants their precious furniture to become the new home for bugs. Sadly, wooden furniture is not just an attraction for humans. Instead, bugs are attracted to them as well. To make sure your flooring or furniture doesn’t become a breeding ground for small bugs, you must invest in eliminating bugs. Moreover, to prevent such an attack from even occurring, it is advised that you use a spray from a company called bug proof to make your furniture insect repellent. Also, thorough cleaning once a week coupled with dusting the surfaces every day also makes sure that bugs don’t find solace in your house. Exercise caution whenever you are eating food on/near the wooden furniture. Nothing attracts bugs like crumbs of food. After devouring your food, make sure to clean the area to avoid infestations. Wooden flooring tends to get scratched very easily. When caring for it, one of the first thing you must guarantee is that your furniture doesn’t end up scratching your precious floor. There are multiple measures you can take to prevent this from happening. For starters, you can add felt protectors to the legs of all your furniture. This helps in reducing the impact of the contact between the flooring and the furniture. 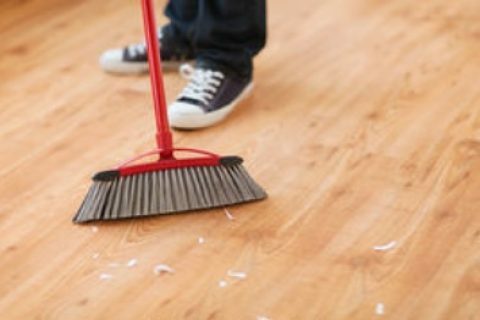 Moreover, it also helps in quickly picking up debris from the floor. Once you have added the protectors, your job isn’t done. This is because felt protectors wear out over time. Therefore, you must replace them periodically. Another way to protect your wooden flooring from scratches is by adding a rug before placing any furniture or décor item on it. If chosen rightly, such rugs can perform a dual function. They can protect your wooden floor and add to the aesthetics of your house while doing so. Make sure to leave your tap shoes, high-heels and stilettos by the door. Have a no shoe policy in your house. This won’t just reduce the amount of dirt that enters your home but also eliminate the chances of shoes scratching the surface of the floor. To adequately care for your wooden furniture, you must clean it regularly. Even though dusting is a great start, you need to do more than that if you wish your wooden furniture to retain their shine. To clean them all, make use of warm water and dish soap. The consistency of the soap should be mild. When you are cleaning the piece, make sure to use soft cloth rather than directly spraying the area with water. While this method is not problematic as such, you must ensure that you don’t soak the surface in water. This is why dabbing a soft cloth in the mixture is the preferred method. To access areas that are hard to reach, you can use old toothbrushes. Once you are done cleaning the surface from any dust that might have persisted, create a protective coating on your furniture by applying a soft paste wax on it. This coating is very thin. Once you have applied it, you have to wait a few minutes before buffing it lightly with a cloth. After an hour, brush it with more intensity. This will polish your furniture as well as form a protective coating over it. One thing that damages wooden furniture like no other is excessive exposure to sunlight. Exposing such furniture to the light for extended periods results in ‘spotting.’ In simpler terms, spotting refers to the appearance of dark spots on the wooden surface. To take care of your wooden furniture, it is advised that you don’t place it in spaces that are bestowed with a lot of natural light. If you do, use table clothes and other covering material to combat the effect of the sunlight. Just like the light has an effect on wooden surfaces, so does temperature. Extremely cold or hot objects will leave lasting marks on the surface. In extreme cases, they might even distort the original structure of the furniture. Therefore, make sure such hot and cold exposures are kept at a bare minimum. There is only so much you can do to maintain your wooden furniture and flooring. A time will come when it will require professional attention. The good news for you is that it will only occur once in a decade. A wood care professional will be able to sand down the surface off the furniture or flooring and apply numerous coats for protection and a shiny finish. Any holes that might have been formed in the furniture or flooring will be filled with wood putty. Use these six tips to take care of your wooden furniture and floors. Yes, it is hard work. But the beauty of these items makes up for the effort.